UPDATE 03/12/12: The Miami Herald released a list Sunday of the 2012 Florida legislative session -- all bills that passed and failed. Rep. Carlos Trujillo's bill to repeal the Miami-Dade pit bull ban (HB 997) failed as did its Senate counterpart (SB 1322). This might in part be due to historic victims Pilar Garcia and her daughter, Melissa Moreira, speaking out, as well as editorials written that clarified the history of the ban and why Miami-Dade County officials adopted it in 1989. Miami, FL - Like much of the garbage regurgitated onto the public by pit bull advocates and apologists, opponents of the Miami-Dade pit bull ban would have Florida legislators and the public believe that the 1989 ban was implemented after a 7-year old girl named Melissa Moreira was viciously savaged by a pit bull in February of that year. 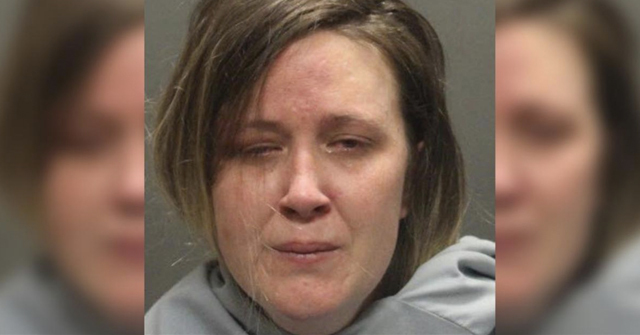 The dog tore off parts of her face and then attacked her mother and grandmother before a neighbor shot it four times in the head. In fact, there were years of publicized violent pit maulings in South Florida prior to Miami-Dade enacting its ban, starting as early as 1945, after the brutal killing of Doretta Zinke by a pack of pit bulls owned by Joe Munn. Other stories include the horrible 1979 mauling of 6-year old Michael "Frankie" Scarbrough. Doctors back then predicted it would take 15 years to rebuild his face. 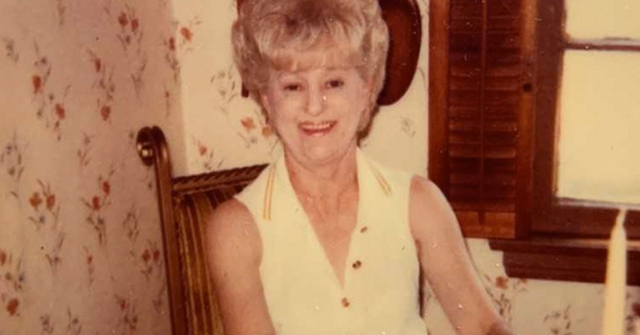 The 1980 mauling of Ethel Tiggs, by her own two pet pit bulls, captured headlines as well. In 1984, Daniel Lloyd Smith, 9-weeks old, died at Miami Children's Hospital after a pit bull jumped into his crib, piling up more headlines. The savage pit bull attacks on Letter Carriers Jean Zambory in 1983 and Louise Johnson in 1985 built upon the growing number of violent pit bull attacks in the area. There were enough vivid attacks in the region by 1980 (alone) that the City of Hollywood, located in a county adjacent to Miami-Dade, enacted the first modern pit bull law. Currently, the Florida legislature, spearheaded by Rep. Carlos Trujillo of Miami, is pushing a bill through that will repeal Miami-Dade's pit bull ban. Columnist Fred Grimm of The Miami Herald has responded to Trujillo's efforts by telling the real story behind the ban. Earlier in February, Grimm wrote about the history of the Miami-Dade ban. "The ban was born out of real public revulsion, after one terrible attack after another had been attributed to the breed," writes Grimm. Grimm adds, "It might be worth remembering that the county politicians, who enacted the ban 23 years ago, reacted to public pressure and gut-wrenching testimony." One of the persons who testified to county officials back then was Pilar Moreira, Melissa's mother. Yesterday, Grimm released a new editorial, "Wounds still fresh for mom of pit bull attack victim," that revisits her daughter's 1989 attack. Pilar (now Pilar Garcia) still gasps 23-years later as she tells her story. She knows when she sees the animal that one of his fighting dogs1 escaped its backyard pen. Without warning, it attacks Melissa. Nothing deters the dog until Pilar throws a canvas car cover over the frenzied animal. Then a neighbor, running up with a pistol, shoots the dog four times before killing it. When Pilar learned of Trujillo's "meddling in local government," she tells Grimm, "When I heard this I was very, very angry. Don’t they know how dangerous these dogs are? What kind of damage they can do?" Grimm then repeats portions of the Miami-Dade pit bull ordinance that spells out exactly how dangerous pit bulls are, the same ordinance that Trujillo is now working to overturn with legislators in Tallahassee, nearly 500 miles away from Miami-Dade County. Melissa required 8 surgeries to reconstruct her face. Her scars remain today. Pilar and her mother-in-law had to undergo surgical procedures as well. In 1989, the hospital bills exceeded $50,000. Similar procedures today would elevate those costs to at least $300,000 (one pit bull producing three victims, requiring 10+ surgeries). Pilar tells Grimm that her daughter is now a hospital administrator in Miami and that, at least psychologically, has recovered better than she. Lastly, Grimm hammers in on another type of garbage regurgitated by pit bull owners and advocates onto the public, who claim that pit bulls are not a breed and cannot be identified, despite numerous appellate court decisions that state otherwise. Pit bulls are not a mystery designation. Nor are their dangers attributes a fictional invention. And when they attack children or pets after Tallahassee lifts the ban, Rep. Trujillo should get all the credit. "Before we had this ban, people had to pay so much, financially, emotionally, psychologically, because of these dogs," said Pilar Garcia. "Don't they know?" According to the Fatal Pit Bull Attacks website, 17 Florida citizens have been mauled to death by pit bulls since the 1989 Miami-Dade pit bull ban was enacted. None of these deaths occurred in Miami-Dade County. 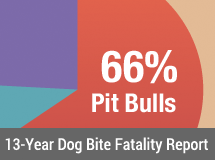 The website only tracks pit bull attacks that end in human death, not the thousands of annual pit bull maulings that leave children and adults with lifelong disfigurement, nor does the website track the obscene number of pets that pit bulls maim and kill annually. It's hard to know what, if anything, can stop Trujillo's onslaught. It is also important to point out that after the Miami-Dade pit bull ban, the AKC successfully pushed through a statewide anti-BSL law to stop other Florida municipalities from adopting a similar law. In short order, the only remaining Florida municipality with a pit bull law, Miami-Dade County, will be out of luck. Pit bull attacks in the region will spike, human deaths will occur and the breeding of new pit bulls will explode. "Freshman" Carlos Trujillo2 will leave a deplorable legacy in his county and state. 1Yet another fighting dog that attacks a human being, in contrast to the garbage perpetuated by pit bull advocates that fighting dogs never attack humans and biters were always "culled." It's unclear when that piece of garbage was born. In 1984, the Humane Society of the United States blamed the serious and fatal maulings inflicted by pit bulls in the area on Florida fighting dog breeder Pete Sparks. 2In 1991, then "newbie" Senator Rodney Ellis (Harris County, TX), sponsored the successful Texas state anti-BSL law and more recently, "newbie" Rep. Barbara Sears (Lucas County, OH) sponsored the legislation that overturned the Ohio state pit bull law. In later years, after recognizing the volume of new pit bull victims in Harris County, Ellis attempts to pass a law repealing the statewide measure; his attempt fails. 11/06/11: Tucson TV Station Airs Segment About Pit Bulls: Are They Really Dangerous? Pit bull advocacy, led by the Utah based animal rights PAC Best Friends Animal Society, is marching through the United States and scorching the earth in a single minded quest to make the world safe for pit bulls. Best Friends Senior Legislative Attorney Ledy Vankavage wrote the Illinois law that has proven to be ineffective in protecting the residents of that state from violent dogs when she worked for the ASPCA. Best Friends wrote the law recently passed by Ohio Legislators reversing regulations on pit bulls in that state. Best Friends is heading the efforts in Florida that will strip home rule rights from residents of Miami/Dade. Best Friends and the Animal Farm Foundation shamelessly use the ADA to force pit bulls into communities with breed specific laws. These faux "service dogs" come with certificates obtained online with two clicks of the mouse and payment of $69, sight unseen. When will lawmakers consider the rights and safety of their constituents and say NO to the well funded and very well organized animal rights and breed specific advocacy machine? Normal dogs do not require this level of advocacy and there is a reason for that. Legislators, please listen to the victims. It is hard to hear them over the shrill demands of breed specific advocacy. Very easy to follow the path. Dog fighters and breeders have much illegal untaxed income and they use it to hire lobbyists, fake animal charities, and for campaign donations. There's a reason that they fasten on to new legislators. Unfortunately, Trujillo will best be remembered for enabling the slaughter of innocent Latino children by the fighting dogs of the white elitists. Best Friends Animal Society and Animal Farm Foundation, rich whites cashing in on the pit bull market. Most victims of pit bulls? Primarily poor, non-white minorities. There's a real story about racism here. Gun shops, fencing companies, bear spray suppliers, they all stand to gain from this too. And all those pets that are killed have to be replaced so breeders profit too. And vets that can now legally treat fighting dog and their victims. The bill may be stopped: "It looks like Miami-Dade County’s ban on pit bulls will continue to be the law after an attempt to repeal it in the Florida legislature fell one vote shy, according to the South Florida Sun-Sentinel." Wow,that second article – ledy is there front and center. wondering if she's the impetus behind the article in the first place. Another columnist came out in support of the Miami-Dade pit bull ban. No matter how “humane” and careful a pet owner is, certain breeds of dangerous animals should not coexist in crowded metropolitan areas like Miami. It’s basic common sense. Local officials are responsible for public safety and know their neighborhoods best. Like pythons overpopulating the Everglades, lifting the ban on pit bulls would endanger the well-being and safety of Miami-Dade citizens. If the push to overturn the ban continues in Tallahassee, Trujillo should throw in free box seats behind home plate for maul victims of pit bulls. That way, when Buehrle takes the mound, he can view first-hand the impact of his errant off-field pitches. Of course, the comments are loaded in Nutterdom. Next to pit bull attack victims, Pilar and Melissa Moreira, in a recent video, Baseball player Mark Buerhle looks like a complete moron. "Pilar Moreira and her daughter Melissa say they will continue their fight to retain Miami-Dade’s ban on pit bulls." The main problem with the State's actions in this matter, are that they violate the right of Miami-Dade citizens to self direct. Dog ownership is not recognized as a fundamental human right, therefore the state has no right to force Miami to allow pit bulls, or any animal for that matter, within that jurisdiction. For the state to attempt to make such a move is very heavy handed and oppressive. "Student Animal Legal Defense Fund via Animal Law Committee of the ABA Tort Trial and Insurance Practice Section. Best Friends Animal Society has a position opening for a legislative/program analyst to work on its pit bull initiatives. JD required. WHY Help Animals When Funnelling Money to Fighting Breed Lobbyists is so much easier? What is NOT mentioned in this article is that the owner Howard Visnick is an attorney, who also lived in Massachusetts. A lawyer that has been responsible for a savage attack on a child, that used "the system" to get his vicious dog back, and was not held responsible for himself. He escaped all charges. This is supposed to be someone who represents the rights of others, not stomps on them. The Latino child and family were treeated like dirt by Visnick and "the system." Where were the Latino family's rights in this effort to protect the vicious dog of an attorney, an officer of the court? "BOCA RATON — Nicholas Lopes was looking forward to seeing "Iron Man" with his dad Saturday, two days after his face was sewn with 40 stitches following an attack by pit bull mix. The 50-pound leashed dog pounced on Nicholas, 5, and tore into his face about 8 p.m. Thursday after the same dog nipped his 3-year-old sister's finger, authorities and the Lopes family said. The pit bull mix, named Jobie, is in the hands of Animal Care & Control in Martin County where its owner, Howard Visnick of Jensen Beach, lives. The dog may receive a statewide "dangerous" classification, but will not be euthanized, Palm Beach County animal control Capt. David Walesky said"
"He bit me really hard," Nicholas said Saturday. He said he could only eat soft foods, his face bandaged and swollen. 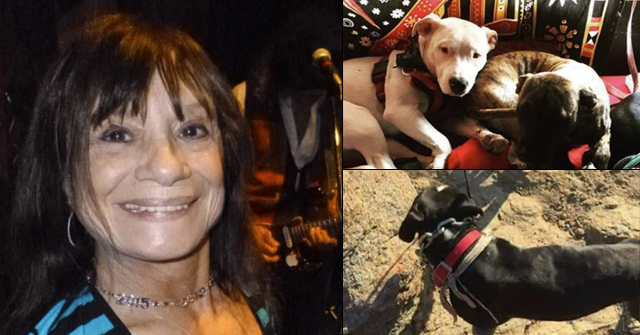 Walesky said neither Schiffer nor Visnick faced criminal charges"
"I don't ever want to see the dog again in this neighborhood," Nicholas' mom, Jennifer Lopes, said. "It's a vicious dog and my children didn't do anything to provoke the attack." "Pit bulls and pit bull mixes account for nearly a third of reported dog bites in both Broward and Palm Beach counties." "One other item that was not mentioned and that was that Mr Schiffer never even got off his bike to help contain the dog, or rescue a little 5 year old boy from his grips….. Nicholas has been very brave… pray that he has a full recovery. This attack was not provoked in any way…. no child should have to suffer through something like this, and no parent should ever have to watch"
What can innocent people do when the carpetbagging Best Friends Animal Society LAWYERS flock into town and collude with a media willing to lie for them so attorneys can have pit bulls attack children? Even kill people? Kill other pets? More from that story. Apparently Howard Visnick and/or Hank Schiffer had a direct line to the pseudo "reporter" and one or both gave misinformation which was gleefully reprinted without research. What can victims do when JOURNALISTS lie to protect the guilty? The reporter NEVER TALKED TO EYEWITNESSES after this nearly deadly attack on a child. The only information came from the pit bull owner and his friend. "YOU REALLY SHOULD READ THE WHOLE STORY, POSTED AT 2AM WITH THE PARTS THE REPORTER LEFT OUT. THE DOG OWNER/SITTER CLAIMED THE KIDS RAN UP, THEY DID NOT. THE REPORTER NEVER TALKED TO EYEWITNESSES, INSTEAD WRITING WHAT HANK SCHIFFER SAID, IF I WERE HIM (SCHIFFER) I'D TRY TO SAY THAT TOO. IT'S A PITY THE REPORTER DIDN'T VERIFY, OR GET THE WHOLE STORY BEFORE PUTTING PEN TO PAPER." Sad it is when one commenter falsely believes that PETA members are blaming the child and family, when in reality it is pit bull and other BREEDERS and the Best Friends No Kill zealots blaming the victims. PETA actually has compassion for the victims, and the breeders attack them for that. It is Best Friends Animal Society (led by attorney Ledy Van Kavage) and the breeders who attack the dead and disabled to protect fighting breeds. Once you realize that Dog Fighting, Pit Breeding and Pit Advocacy are a $Billion a year co-dependent economy, it all makes perfect sense. To stay in operation, they need breeding markets open. Miami-Dade commissioners thanked the county's legislative delegation on Tuesday for listening to local concerns … they also lamented that Miami-Dade lawmakers sponsored legislation that the county opposed … doing away with the county's pit-bull ban. "Our own people were trying to kill us," Chairman Joe Martinez said.